Get your team together for a night of Trivia from 6 - 8PM at the Fort Point taproom! This series with Host Sean will keep you on your toes! General knowledge questions so don't be shy... all are welcome! And yes, of course, there will be prizes! Beer and coffee: a combination we've been enjoying since day one. To celebrate the Specialty Coffee Expo 2019 - Boston, MA, we'll be tapping coffee-forward beers, bringing out special beans and sharing cold brew from our partners Barrington Coffee Roasting Company and Mostra Coffee. A special cold brew collaboration with Mostra Coffee called "GuatZilla". This blend features Guatemala Huehuetenango and Brazil Oberon beans - we brewed a batch of cold brew in-house at Trillium with the Mostra Coffee team for you to try. A limited number of bags of beans will be available to take home as well. Thursday at Trillium Fort Point we will be tapping beers at 11:00am featuring Barrington Coffee Roasting Company, and on Friday at 5:30pm we will be tapping beers featuring Mostra Coffee. Look forward to toasting beers and staying caffeinated with you all! It's happening! Wednesday, March 27 we'll be hosting an awesome evening of noodles, beer and more. Tickets are available for two seatings (5p-7p and 7p-9p). Once you've reserved your ticket(s), our team will email you with a specific dining time, so keep an eye out for that notice. Each ticket includes a special edition 13.5oz lager glass designed by our crew, as well as your first pour of the beer we're collaborating on (more details on that to come via social media!). The evening's food menu will be available in a $50 three-course pre-fixe style, along with a full beer list from the bar. Additional food from the Trillium Fort Point kitchen team will be available if you'd like to supplement. Tickets are capped at 6 seats per order, and we won't be able to combine separate ticket orders or alter reservations (sorry). Please don't hesitate to give us a shout if you have any questions - info.fortpoint@trilliumbrewing.com or (857) 449-0083. Our own Chef Morway will be partnering with the Boston Center for Adult Education for a class on New England Farmhouse Cooking. Learn more and reserve a spot at the BCAE website. It’s been six years since we first opened our doors in Fort Point, and a lot has changed… new beers, new faces, and new spaces! Celebrate the passing of six years with us in the Innovation and Design Building on Saturday, March 23rd. This year we’ve decided to increase party capacity by hosting two sessions: Session 1 from 12PM-3PM, and Session 2 from 5PM-8PM. 500 tickets are available for each session. Additional beers (draft pours & a cellared bottle list), merchandise, and food from Trillium Fort Point, Bayberry Beer Hall and Highroller Lobster Co. will be available for purchase at the event! PLEASE NOTE: A ticket and valid 21+ ID is required for entrance into the event. Ticket buyers can only purchase tickets for one session; not both. Only 4 tickets per person are available for sale. Tickets are only available for purchase online through BeerFests.com and cannot be purchased at our retail locations or at the door. While we’ll have plenty of beer for on site consumption, unfortunately we can’t offer sales of beer to-go, including cans, bottles, and growlers. However, both breweries will be open regular hours on March 23rd, so feel free to swing by Canton or Fort Point. T-shirts, glassware, and other merchandise WILL be available for purchase at the event. For one night only, we're bringing KLASK - an epic magnetic 1-on-1 showdown game - to Trillium Fort Point. We'll be joined by Klask Inventor Mikkel Bertelsen and our event sponsors Peel&Eat and Food Fight Films. 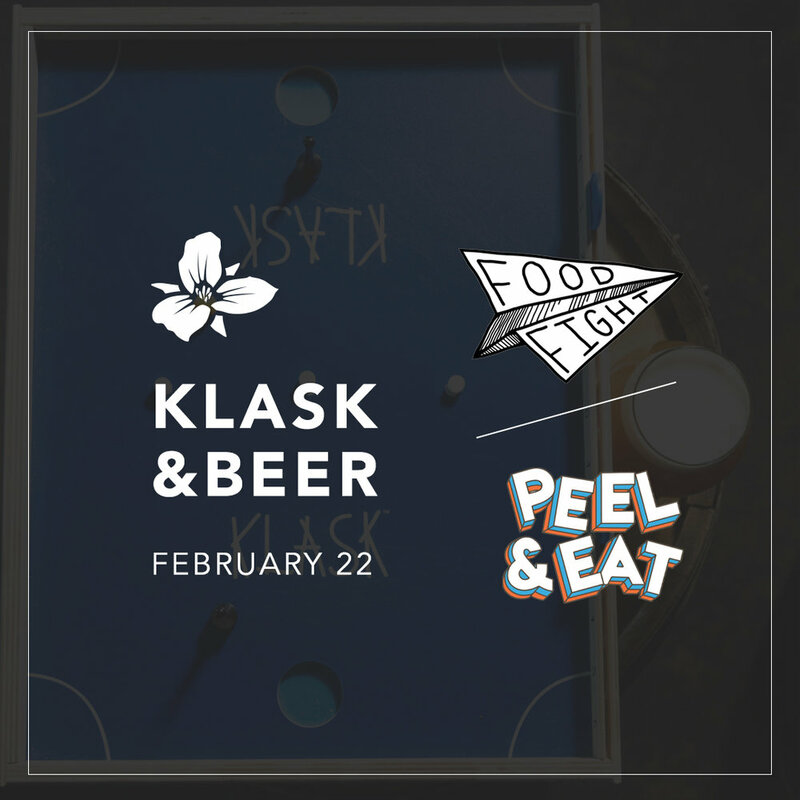 Klask boards will line our taproom tables and everyone is welcome to come face off against your friends, learn more about the game's origins and enter a free raffle to win a custom Klask board. Klask fans looking to up their game while enjoying our beers on draft can find a set available to play at Trillium Canton from Monday through Wednesday. Introducing a release saluting all of the bona fide New Englanders out there - those who are brave enough to take on a long, Nor' Easter shoveling session and lighthearted enough to crack a beer in their lawn chair afterwards. 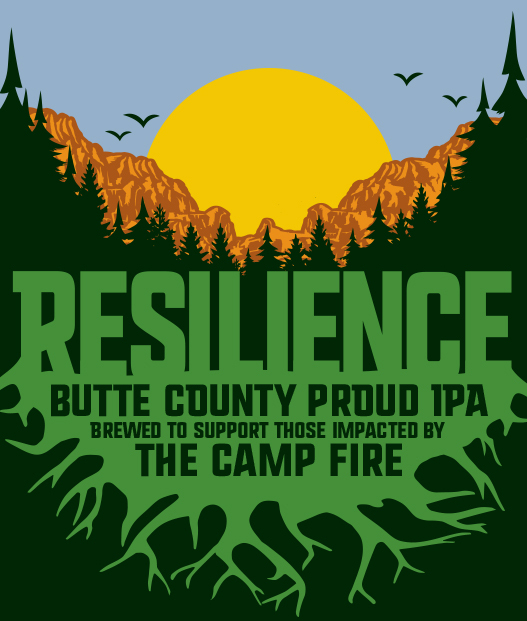 This double IPA features the new Sabro hop from the Pacific Northwest. Notes of pineapple, lychee, mango and other complex flavors. We'll also have very limited edition 16oz True New Englander koozies to keep your hands warm while your beer stays cold. Trillium Fort Point will be closed for Thanksgiving. Cheers! At long last, it's time for the grand opening of our restaurant and brewery. Fort Point is the neighborhood where Trillium first laid roots and it will always be home to us. To celebrate, we're throwing open the doors to our new three story location, unveiling our full food menu, and even taking over the Thomson Place courtyard for the first of many big events here. From 11am to 8pm we'll be turning the front courtyard into a beer garden (weather permitting), with DJ Sprino as our musical guest from 12-4pm. Our friends from Island Creek Oysters and Sid Wainer & Son will have some special courtyard snacks for you all to enjoy. We'll also be pulling some special bottles & kegs from the cellar for on-site enjoyment - get excited for some old favorites to emerge. Monday will also be the debut of new Trillium merch! A limited run of Trillium dimple mugs and Congress St. 6 panel hats will be available to purchase.